JP Dutta: Why do we shy away from our history? For perhaps the first time in the history of the Hindi film industry, Border (1997) mentioned the enemy by name: Pakistan. I don’t think anyone had done it before. In earlier films, actors would mention “dushman [enemy]” or “padosi [neighbour]”. But no one said “Pakistan”. 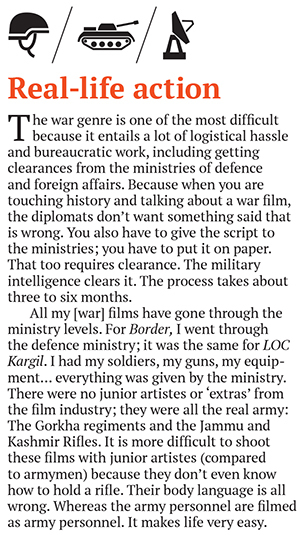 This was because there is little understanding of the armed forces within the film industry. 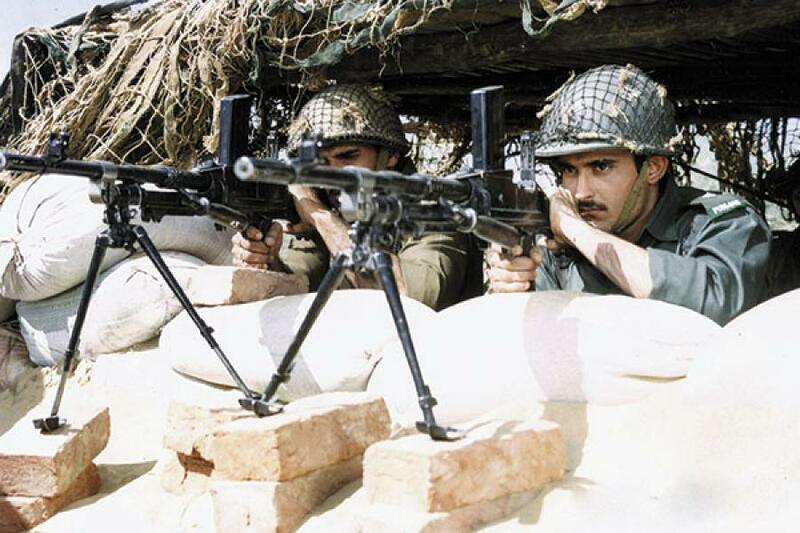 There have hardly been any war films made in India. War has been used as a background to a love story, perhaps; but using it just as a backdrop does not make it a war film. I personally feel very disturbed with this attitude of the film industry, the establishment, and I would also blame the media. When they talk about blockbusters, films that have done very well at the box office, the media tends to somehow overlook Border. It saddens me. Such films are for generations to come; they have to fall back on them, on what we have recorded. And what better way to record than on celluloid? Nobody is really interested in doing it, or encouraged to do it. 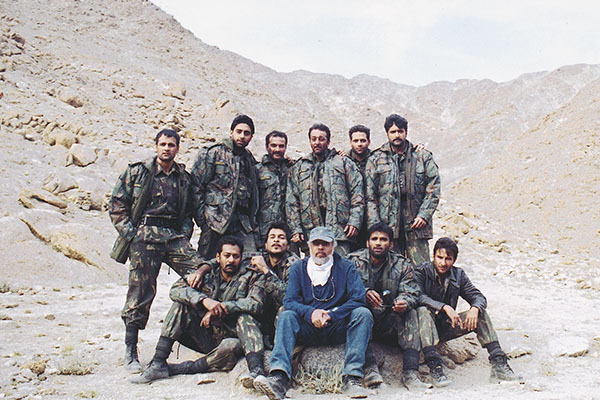 But this is something that quite a few of my actors did for LOC Kargil (2003). I had a huge star cast: There was Saif Ali Khan, Sanjay Dutt, there was Abhishek [Bachchan], there was Ajay Devgn. Doing the film made them feel very good: They realised that their heroes were out there. When a soldier fights, he is not fighting for anyone specific. And it’s a part of our history. So why are we shying away from depicting our own history? The Americans use the instrument of cinema so well to build an image. They have awareness of their armed forces; they feel that ‘he is an American citizen, and he is my soldier, and if you touch him, then we will react in a certain way’. When I made Border, I was very lucky. The late Mr PV Narasimha Rao was the prime minister at that time. He took my application, and wrote a little note on it, saying: ‘Give full cooperation, expedite matter immediately’. He just said, ‘Yeh film to banni hi hai [this film just has to be made]’. After that, it was a dream. While making LOC Kargil, things were a little different. An army brigadier came to Bombay, sat here for one week, convincing me to do the film. And, at that time, I was fighting it [doing the film], because my family was fighting it. This is because when I released Border, the police commissioner had called me and said, ‘Mr Dutta, there is a threat to your life, and I am sending two armed men to be with you 24x7.’ Those men were with me for three or four months, and I could not move without them. I could not travel with my family. I used to be alone—the two men were like my shadows. And I used to get threats. They had put a message out that they wanted to teach me a lesson. I did not do the film for commercial reasons, or for the box office. I did not do the film by cutting it down to three hours or two-and-a-half hours. It was a four-hour film, and I retained that length because I had met the families of the officers and men, I had spoken about their children, how they grew up, how they fought. Had I cut the film, I would have had to remove their lives and their stories from the film. And I would not have been able to face those families ever again. Thankfully, I did not get any threats after LOC. So the ministries do cooperate, but I think it started with Border. I have now been asked [by the government] to make a film on the  China war. No film has ever been made about it. We lost that war, yes, but that does not take away from the tremendous acts of bravery among our soldiers. Border And LOC Kargil Are 2 Of The Greatest Films Of India. And JP Saab Is Undoubtedly THE BEST AND MOST VOLATILE Filmmaker Of India.